Observed along a rocky stream on the Kongelai Escarpment, West Pokot, Kenya, July 2015. 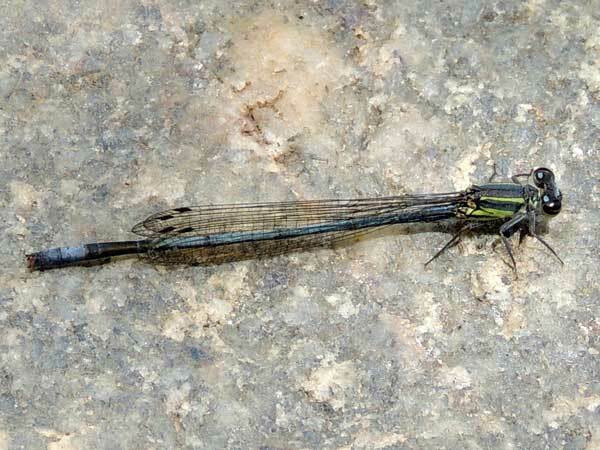 The adults are gem-like in their colors, especially the males, and both sexes have delicate wings that are held vertically and folded together dorsally when not flying. Copyright Michael J. Plagens. Page created 16 March 2015.